The rest of Scripture unquestionably attributes Exodus and the other books of the Pentateuch to Moses, the prophet we first meet in the book of Exodus. This is expressly supported by Jesus himself (see Mt 8:4; Mk 7:10, 12:26; Lk 16:29-31, 24:44; Jn 5:46-47), the gospel writers (e.g., Lk 2:22), the apostle Peter (see Ac 3:22-23), the apostle Paul (see Ac 13:38-39, 26:22) and others (see Mt 22:24; Ac 7:37; Heb 3:5). This is also stated throughout the Old Testament (see Jos 1:7, 8:31-35, 9:24, 11:12-15,20, 14:5-10, 20:2, 21:2,8, 22:5,9; Jdg 3:4; 1 Ki 8:53-56; 2 Ki 18:6,12, 21:8; 1 Chr 6:49, 15:15, 22:13; 2 Chr 8:13, 33:8, 34:14, 35:12; Ezra 3:2, 6:18, 7:6; Neh 1:7-8, 8:1,14, 9:14, 10:29, 13:1; Ps 103:7; Dan 9:11-13; Mal 4:4). “Exodus” means “departure,” and it is the name given to this book of the Bible because it describes the departure of the Israelites from Egypt. 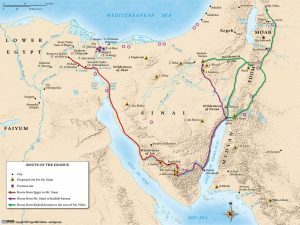 Exodus gives the account of events leading up to the epic departure of the Israelites from Egypt, as well as their escape from the Egyptians and the initial travel between Egypt and the Promised Land. However, since much of the book focuses on the monumental covenant between God and his people, including the Ten Commandments and instructions for the building of the tabernacle (or “tent” or “dwelling”) so God can dwell with his people, relaying the origin of this covenant may be the main purpose of the book of Exodus. The book ends with the tabernacle being completed and being filled with the glory of the Lord, thus showing God dwelling among his covenant people. The focus of the book of Exodus is the giving of God’s law to the Israelites on Mt. Sinai, which Jesus fulfilled on behalf of all people (Rom 10:4). Exodus also contains several strong pictures of Jesus, who would come 1500 years later. 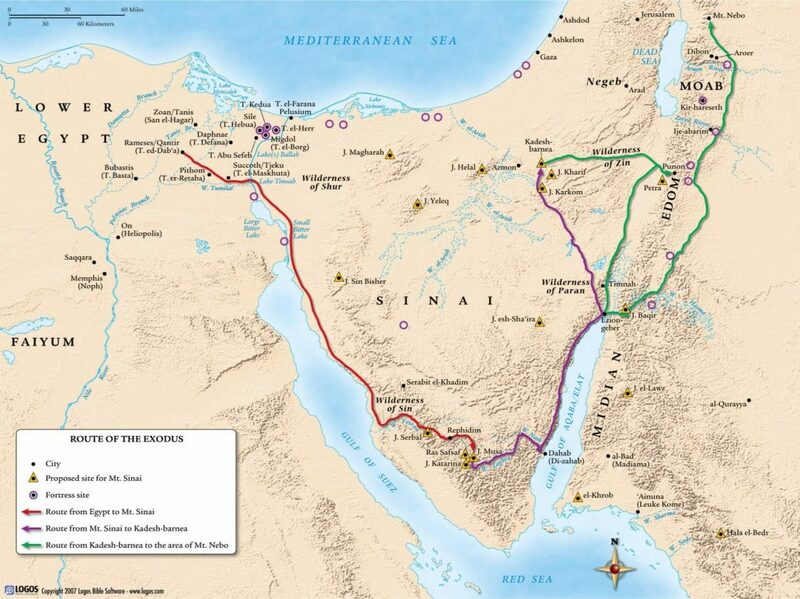 God delivered Israel from Egyptian slavery (Exodus 3:7-10); Jesus delivers us from the slavery of sin (Romans 6). The Passover lamb’s blood saved the Israelites from death (Exodus 12:1-30); Jesus’ blood saves us from eternal death (John 1:29,36; 1 Cor 5:7). The high priest was a mediator between God and his people (Exodus 28); Jesus is the perfect mediator between God and all people, giving us forgiveness of sins through his death on the cross (Hebrews 9:11-15). Exodus gives us deeper symbolism of all of the gracious things God was going to do through the Savior Jesus.